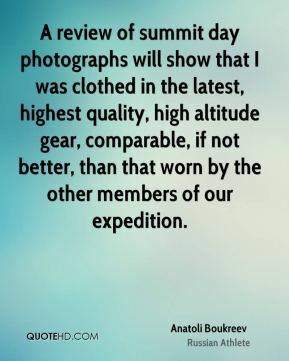 A review of summit day photographs will show that I was clothed in the latest, highest quality, high altitude gear, comparable, if not better, than that worn by the other members of our expedition. 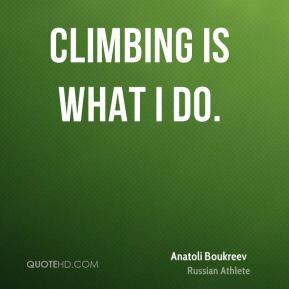 Climbing is what I do. 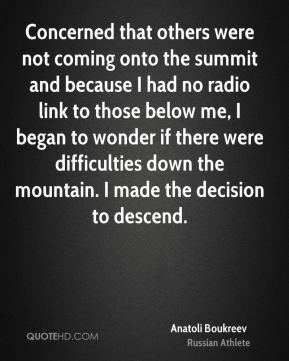 Concerned that others were not coming onto the summit and because I had no radio link to those below me, I began to wonder if there were difficulties down the mountain. I made the decision to descend. I am not sure the others are as committed as Rob Hall and Scott Fischer. 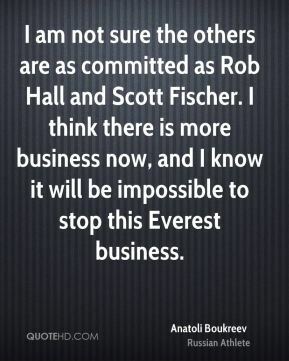 I think there is more business now, and I know it will be impossible to stop this Everest business. I don't know what being an Everest guide means. I am a coach, not a guide. 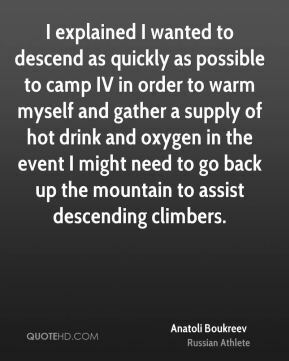 I explained I wanted to descend as quickly as possible to camp IV in order to warm myself and gather a supply of hot drink and oxygen in the event I might need to go back up the mountain to assist descending climbers. 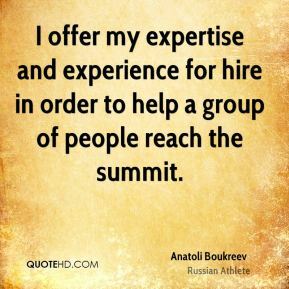 I offer my expertise and experience for hire in order to help a group of people reach the summit. 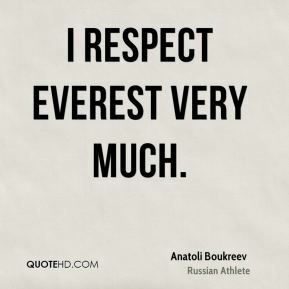 I respect Everest very much. 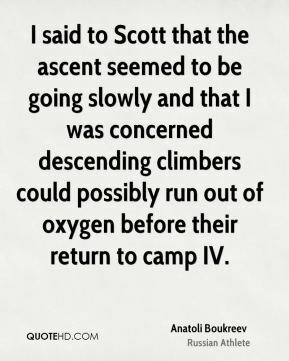 I said to Scott that the ascent seemed to be going slowly and that I was concerned descending climbers could possibly run out of oxygen before their return to camp IV. 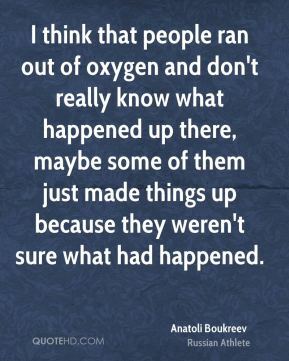 I think that people ran out of oxygen and don't really know what happened up there, maybe some of them just made things up because they weren't sure what had happened. I told them, you can succeed - it's not likely the first time, maybe 25 per cent, but you CAN succeed. You can also die. 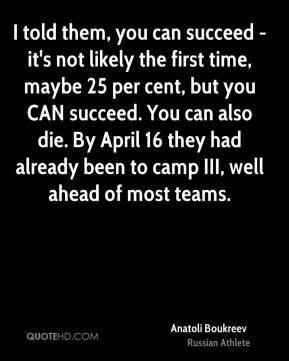 By April 16 they had already been to camp III, well ahead of most teams. I travel to Jakarta, I see what an important country it is. I've been working with them for a year. People respected my experience, they hire me, they pay me what I am worth to coach their team. 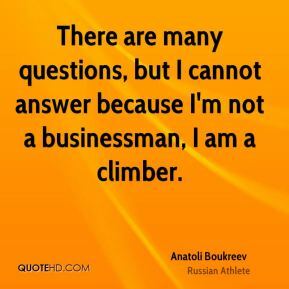 There are many questions, but I cannot answer because I'm not a businessman, I am a climber. 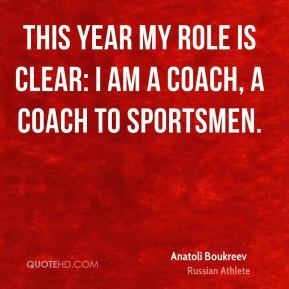 This year my role is clear: I am a coach, a coach to sportsmen. 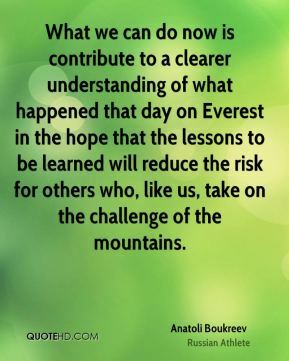 What we can do now is contribute to a clearer understanding of what happened that day on Everest in the hope that the lessons to be learned will reduce the risk for others who, like us, take on the challenge of the mountains.